I have always believed that real estate is an industry that provides opportunities for both buyers and sellers at different times of the year and in different seasons. This year, December is an exciting time for both buyers and sellers in many regions including the Pacific Northwest because of recent shifts in inventory. Rarely do the stars align when the real estate market favors both buyers and sellers at the same time but this year it does! December has always traditionally been a time when sellers take their homes off the market for the holidays and wait until the New Year to list. This naturally causes a shift in inventory that reduces the total number of homes on the market. This shift provides serious sellers a greater opportunity to sell because many of their competitors have left the market. For buyers this then allows them a chance to compete because there are less buyers to compete with and more serious sellers to negotiate with. I was thrilled to recently read the report that ATTOM data solutions produced where they analyzed over 18 million home sales to determine if there was a better time of the year to buy real estate. Would you believe that 7 out of 10 of the top 10 days of the year to buy real estate are in December? I wasn’t! a href=”https://www.attomdata.com/news/home-prices-and-values/top-10-best-days-of-the-year-to-buy-a-home/”>Here is a link to the article that you can read yourself. This does not surprise me at all because whenever inventory shifts, opportunities abound. If you have buyers that need to buy but haven’t been able to find what they want in their price range, now is the time to alert them to this fantastic buying opportunity. Buyers will find serious sellers who are willing to negotiate and who want to sell. And sellers who put their home on the market will find that the buyers are ready to buy and the market is still strong. 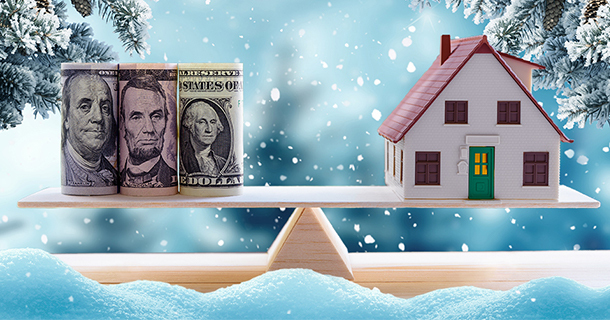 If sellers are over-priced during December, they will have to adjust because the buyers that are in the market are market savvy. With a good deal of inventory in many markets being aged beyond 60 days, buyers are having to negotiate and sellers are having to reduce their overpriced properties. The article is a great read because it is backed with great data. December is a fantastic time to be in the market!